U. MICHIGAN (US) — The invasion of two species of mussels is causing massive ecosystem-wide changes by stripping two of the planet’s largest freshwater lakes of life-supporting algae. Previous studies have linked the zebra and quagga mussels to far-reaching changes in Lake Michigan’s southern basin. 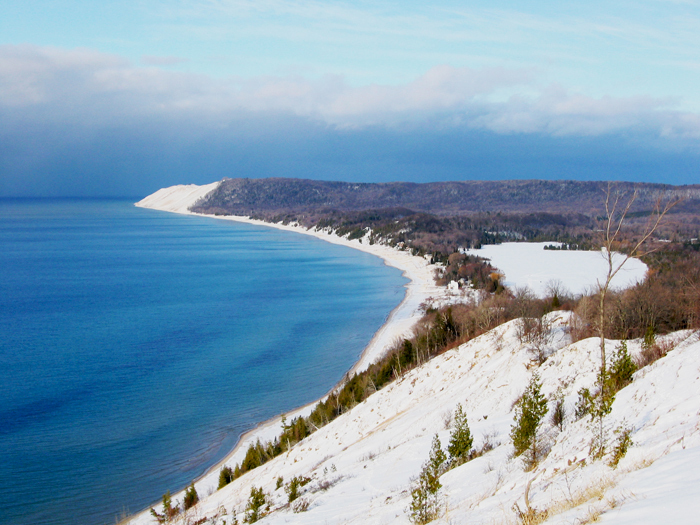 New research finds the same dramatic changes are now occurring in northern Lake Michigan and throughout Lake Huron, as well, endangering the multi-billion dollar U.S. commercial and recreational fishing industries. The study is reported in the journal Environmental Science & Technology. Because the changes are so profound and are happening so rapidly, the Great Lakes management agencies should consider reviewing and perhaps revising policies so they can respond more quickly. “New strategies for managing the lakes are urgently needed. Ecological changes that formerly occurred over decades are now happening in just a few years, so we need to adapt our management policies to this new reality,” says Donald Scavia, professor of natural resources and environment and civil and environmental engineering. This recommendation is especially relevant in the context of the current review of the Great Lakes Water Quality Agreement by the International Joint Commission, Scavia says. The United States and Canada jointly manage the Great Lakes through the IJC. Though the zebra mussel is better known to the public, over the past decade it has largely been overshadowed by the quagga mussel, which can thrive far from shore in deep, mud-bottomed waters. Each of the fingernail-size quagga mussels filter about a quart of water a day, and billions of them now blanket the bottoms of lakes Michigan and Huron down to depths of nearly 400 feet. They feed on algae, including single-celled plants called diatoms that are encased in glass-like shells made of silica, which the diatoms extract from lake water. Until recently, the diatoms “bloomed” each spring in the Great Lakes, and the level of silica in upper lake waters dropped as diatoms built their protective shells, then sank to the lake bottom, taking the silica with them. The drop in silica levels due to the spring diatom bloom, known as the seasonal drawdown, has long been used as an indicator of overall algal production in the Great Lakes. A review of records of silica levels in lakes Michigan and Huron collected over the past 30 years by the Environmental Protection Agency, shows that algal production throughout the two lakes was about 80 percent lower in 2008 than it had been in the 1980s. In Lake Michigan, the decrease in the seasonal drawdown coincided with an explosion in the quagga mussel population and its expansion to greater depths, which began in 2004. The same changes occurred a few years earlier in Lake Huron, where quagga mussels greatly increased in abundance between 2000 and 2003. “For years, all the talk was about the zebra mussels. 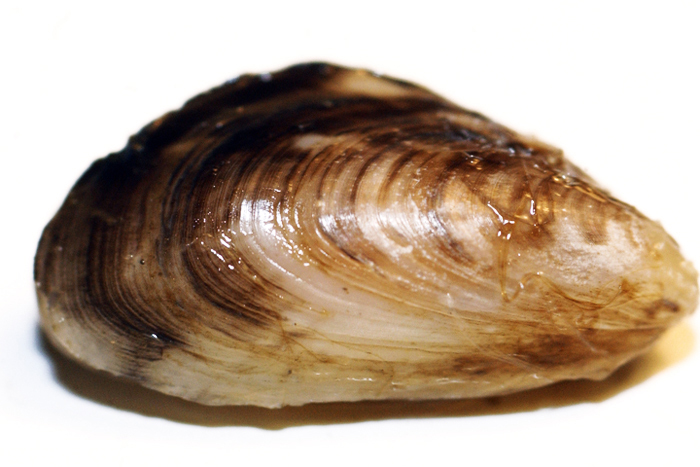 And then its close cousin comes in, the little quagga mussel, and wreaks even more havoc on these huge offshore systems,” says Gary Fahnenstiel, senior ecologist with the National Oceanic and Atmospheric Administration. By filtering out the algae, the mussels are robbing other organisms of the food they need to survive. Of particular concern is the plight of Diporeia, a tiny shrimplike creature that was one of the pillars supporting the base of the Great Lakes food web. Nearly every fish species in the Great Lakes relies on Diporeia at some point in its life cycle. But Diporiea populations have crashed in lakes Michigan and Huron, and the change is already impacting Great Lakes commercial fisheries and the sport-fishing enterprise. The work was funded in part by NOAA’s Center for Sponsored Coastal Ocean Research.